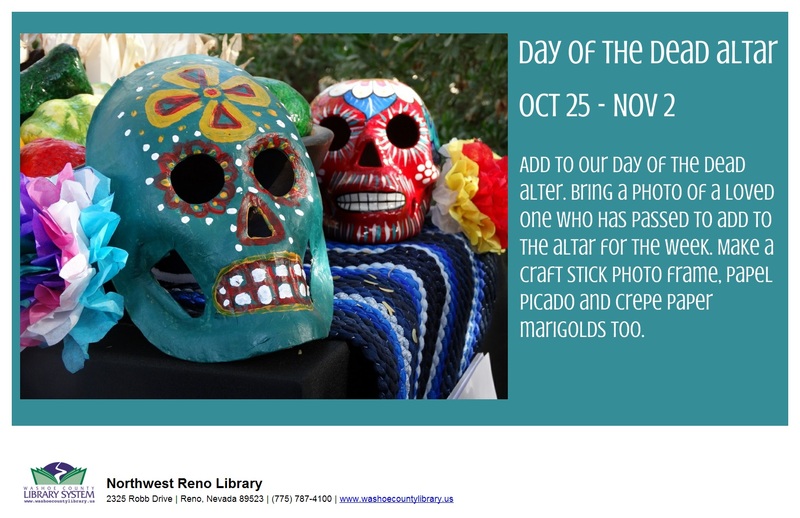 Come help us add to our Day of the Dead altar from October 25-November 2. Feel free to bring a photo of a loved one who has passed to add to the altar during the week. Make a craft stick photo frame, papel picado (Mexican paper art), and crepe paper marigolds too!